Updated 4/3: After reviewing the interest levels from the interest forms, it has been determined that we will be attempting to field 16U and 18U Boys Junior Olympic Travel Teams. The links below are for those two teams only. What are the Junior Olympics ? 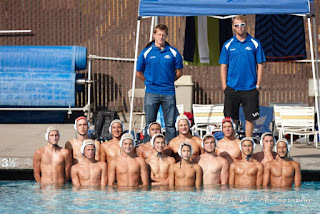 The USA Water Polo Junior Olympic Championships are the largest age group water polo tournaments in the United States. Athletes and teams come from across the country to compete on the national stage. Teams compete over a 4-day period within their respective age category. The age categories are 10U Coed, 12U Boys, 12U Girls, 14U Boys, 14U Girls, 16U Boys, 16U Girls, 18U Boys, and 18U Girls. 12U, 14U, 16U, and 18U Boys: July 21st - July 24th in San Jose, CA. 10U COED, 12U Girls, 14U Girls, 16U Girls, and 18U Girls: July 26th - 29th in San Jose, CA. 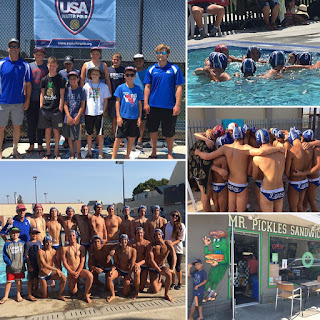 How does a Team qualify for the Junior Olympic Finals ? What is the commitment level required ? Participating on a Junior Olympic Travel team requires a strong player commitment. Athletes will be expected to attend practice on a regular basis, as well as participate in ALL qualifying tournament dates. 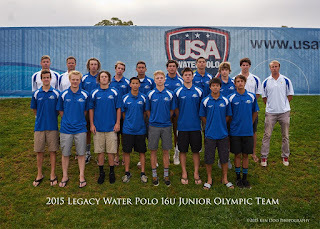 Previous Legacy Junior Olympic hopeful teams have been hampered by athletes missing qualifying weekends. What is the process of joining a Junior Olympic Travel Team ? 2: After March 30th, we will decide which age groups we will attempt to send teams to the Junior Olympics in. 3: For these age groups, we will hold a parent and player meeting (sometime in early-mid April) where we will discuss details such as cost, practice schedule, tournament schedule, coaches, team gear, roster selection process, etc. We will also hand out the official Junior Olympics player declaration form at this meeting. 4: This Player Declaration Form will be due by May 1st. 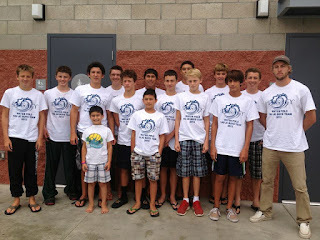 5: Junior Olympic practices will start in Mid-late May and run through the Junior Olympic Finals in late July.